RUSVPN Review – Mediocre VPN Service That Keeps Failing to Impress! RUSVPN Review – Mediocre VPN Service That Keeps Failing to Impress! 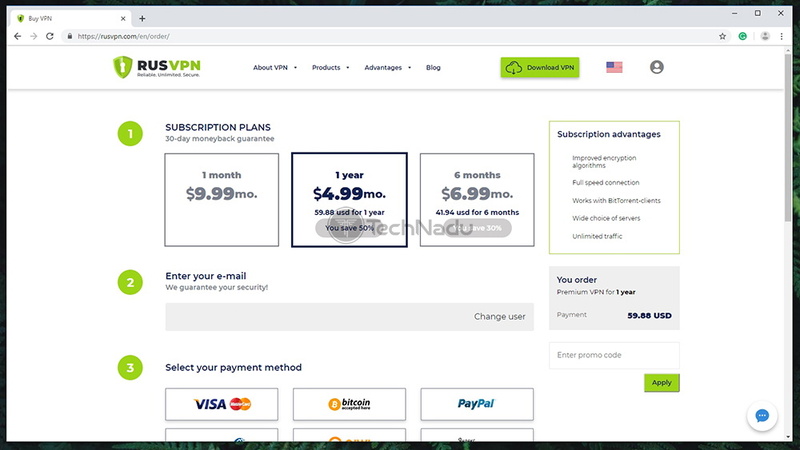 RUSVPN Review 2019 – Mediocre VPN Service That Keeps Failing to Impress! RUSVPN is definitely not one of the first VPNs you’ll encounter online. However, this doesn’t automatically mean that you shouldn’t consider using it. 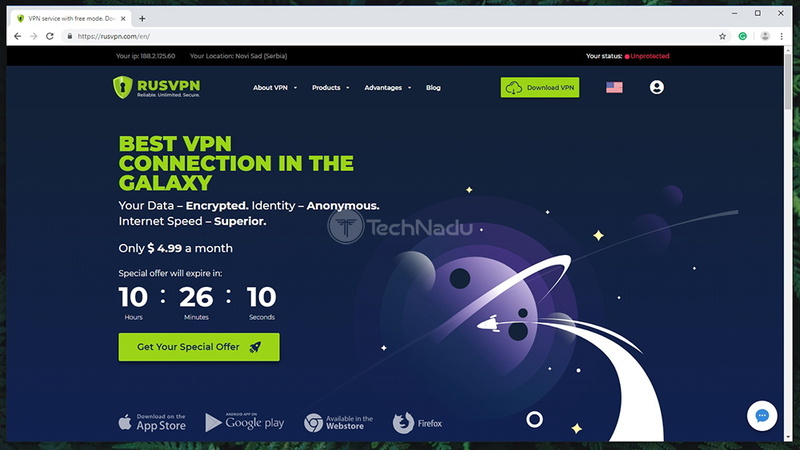 You won’t make a mistake by going for one of the worldwide popular VPN brands – but don’t forget that giving a chance to lesser-known VPNs can go a long way. 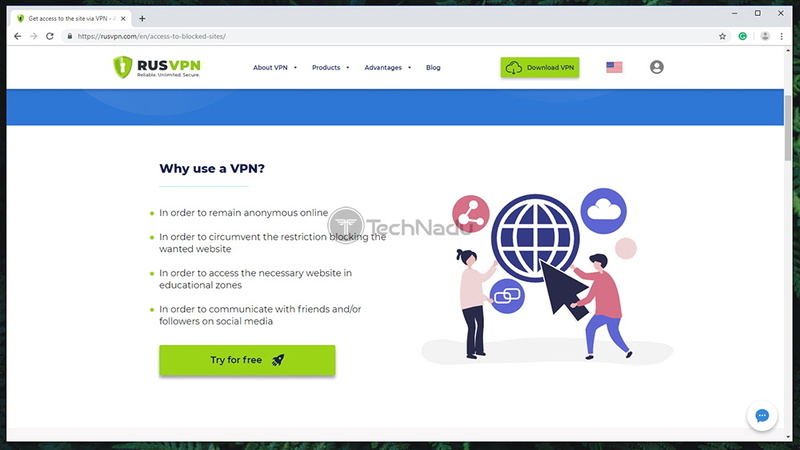 To make sure you don’t jeopardize your data and your private information, we’ll be taking a very close look at this VPN. So, welcome to our hands-on review of RUSVPN. Without any further ado, let’s jump to what you truly want to know. We’ve prepared three tables in this introductory segment, where the first one (found below this paragraph) will explain the basics. We have a series of comparative points, giving you a general idea of what to expect. 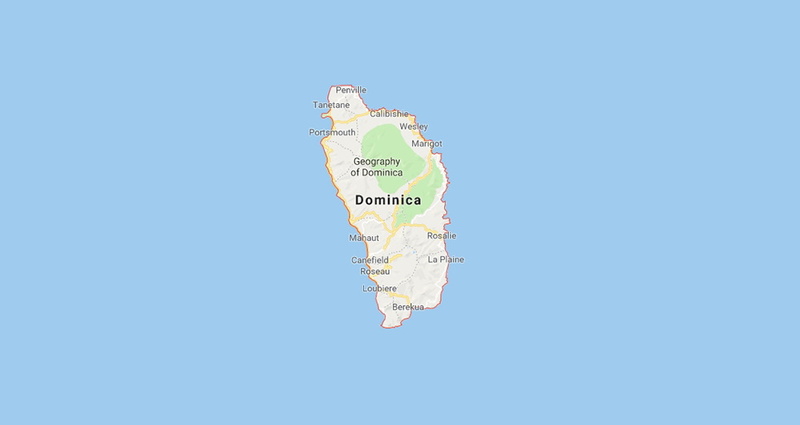 Dominica / Northern Ireland (5 Eyes). 2,048-bit SSL; OpenVPN, L2TP, PPTP. Windows, MacOS, Linux, Android, iOS, Web browsers, routers. One of the reasons why VPNs are so popular is their ability to unblock media streaming services. In case you want to use a VPN to unblock Netflix or any similar service, take a look at the following table. And lastly, we have one more table for those who are in a rush. If you don’t have the time to read this entire review (we did our best to be as comprehensive as possible), here are some of the most prominent pros and cons of RUSVPN. Easy to use; Good for non-demanding users; Strong encryption; No DNS leaks; Doesn’t collect logs; Works with Netflix. Overly limiting server network; Not for advanced users; Mediocre performance. We can recommend RUSVPN only to basic home users who aren’t overly concerned about their anonymity. Those wanting to unblock Netflix US are also a good match for this VPN. That’s it when it comes to our informative introduction. We’re now ready to dive into our full review of RUSVPN, so make sure to stick with us. Let’s get started. Our every VPN review consists of a series of segments, where we inspect various aspects of the VPN in question. We’ll use this approach to RUSVPN as well. 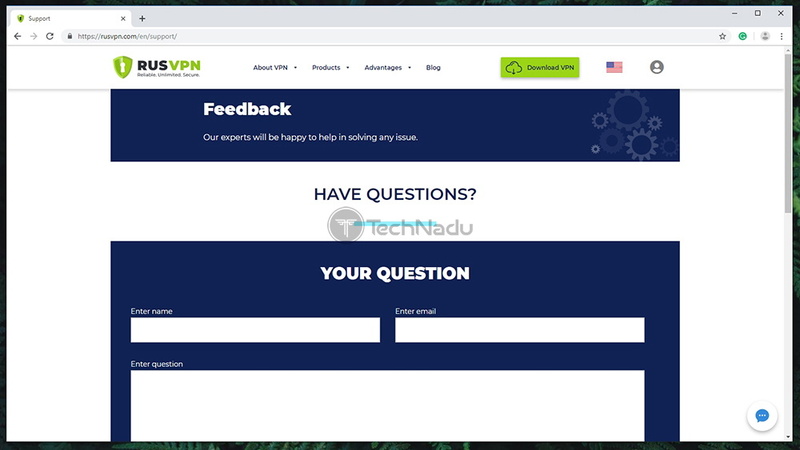 So, if you want to learn more about how we review VPNs, you’ll find all the information in need by following the provided link. RUSVPN apparently comes from Dominica, even though we were previously told that it comes from Northern Ireland. A strange situation, indeed. Our Score: 1/10. When starting to research about a certain VPN, first make sure to know its country of origin. That’s because you don’t want a VPN belonging to a country that’s a member of the 14-Eyes Alliance. And as it turns out, RUSVPN is exactly one of those VPNs (even though it seems to be shrouded in mystery). First, let’s talk about Northern Ireland. This country is a part of the United Kingdom (along with England, Scotland, and Wales). We don’t have to tell you that the UK is at the forefront of mass surveillance. In addition, this country has one of the strictest set of laws regarding data logging. Back in 2016, the UK introduced the so-called Snooper’s Charter. Via this act, the UK government was granted the power to force Internet companies and telecom operators to collect data for up to one year. This set of laws caused quite a commotion, and the UK is currently changing the Act. Still, we don’t know if voices of human rights activities will be heard. As mentioned earlier, the company’s representative approach us to say that this company is actually based in the Commonwealth of Dominica and that it’s registered under the relevant laws of this country. To clear this confusion, we once again approached the company. This time around, Northern Ireland was never mentioned and they placed a heavy emphasis on Dominica. When pressed about ATRIX GROUP and its problematic location and whether it’s really based in Northen Ireland, we received this response: ‘Probably, but I cannot provide you such information. RUSVPN has a number of developers in different countries‘. Also, it took from 5 to 10 minutes for each of our questions to be answered, which forced us to believe that RUSVPN’s customer support agents were very careful about what they’re allowed (instructed) to say. RUSVPN seems to be a very young VPN service, being on the market for close to one year now. And even though no data leaks happened during that time, we believe it’s doing its best to protect its users. However, we can’t say that RUSVPN is a credible and reliable VPN provider simply because it looks like it has a very small user-base, at the moment. All in all, we have to admit that RUSVPN is based on a set of strange decisions. It comes from the United Kingdom (or from Dominica, depending on what you want to believe), which is highly problematic. Then, this VPN’s Twitter profile uses only one language to speak to its customers – Russian. We have a bit of the UK here and we have some Russian ties, and there’s Dominica involved as well. All in all, not a satisfactory first impression. RUSVPN covers a nice range of devices and operating systems. However, owners of Android TV and FireOS are left out. Our Score: 7/10. Before getting a VPN subscription, make sure to know how many devices your subscription will cover. And also, you need to know if all your devices will be covered via native apps. So, let’s take a look at what RUSVPN is offering. 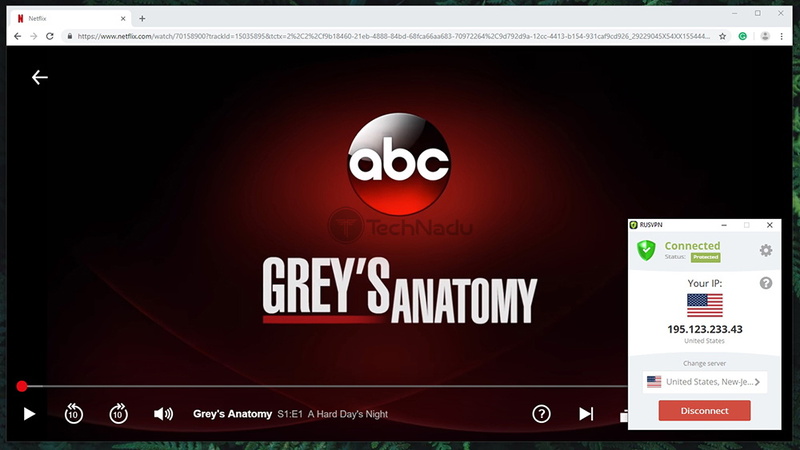 In terms of desktop operating systems, you can install RUSVPN on Windows and MacOS. In addition, you can also run it on Linux, where a manual configuration is needed. And when it comes to mobile systems, there are native apps for Android and iOS. 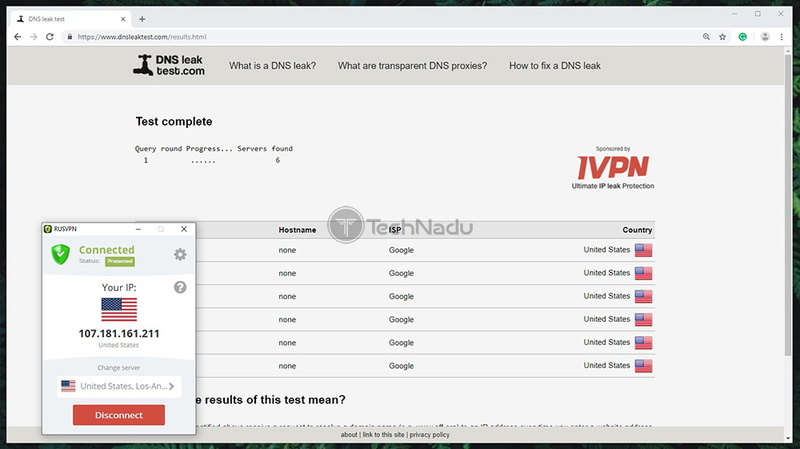 It’s interesting to note that RUSVPN is also offering Web browser extensions for Google Chrome and Mozilla Firefox. However, there are proxy extensions. This means that they can’t be compared to fully-featured VPN applications. You should always go for native apps if available. Lastly, since RUSVPN is based on the OpenVPN protocol, you can use it on a wide range of compatible routers. This way, you’ll use only one out of five available slots in your subscription. In other words, installing it on a router might be a bit complicated but it most certainly pays off. Let’s also not forget to mention that platforms such as FireOS and Android TV are not on the list of supported devices. There might be a chance to sideload RUSVPN’s apps for this purpose, but this can never beat fully-featured native apps. You can install RUSVPN within a few minutes. This applies to desktop and mobile operating systems, so even complete beginners should feel at ease. Our Score: 10/10. Before you get to use RUSVPN, you need to get a subscription. You get to choose from several pricing plans, and you can pay via numerous payment processors (including anonymous payments as well). Then, proceed to download the application from the official website. RUSVPN comes in at around 10MB, so it’s very lightweight. Double-click on its icon to initialize the Installer, choose a destination directory, and that’s it. There are no marketing offers or bundled software, which is always a nice thing to see. We’ve tested this application on our Windows 10 PC, where the installation process is incredibly simple. As noted earlier, RUSVPN is compatible with a nice range of devices. When it comes to smartphones and tablets, you simply download the application from the respective app store. And if you want to install RUSVPN on your router, make sure to consult the official installation instructions. All in all, we feel that even complete beginners won’t have a hard time getting started with this VPN. RUSVPN comes with no surprises. 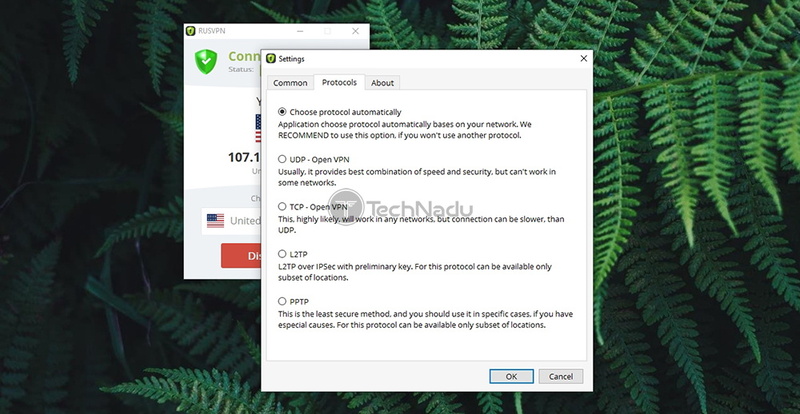 This is a rather basic VPN that falls short when it comes to more advanced features. Our Score: 5/10. We’ll use this segment to talk about the basic and advanced features of RUSVPN. To get started, we’ve prepared a handy table where you can quickly review what kinds of features to expect. First, let’s see what kinds of data protection this VPN provides. First of all, DNS leak protection is included along with a built-in kill-switch. This means that third-parties should not see where you come from, and they’ll only see what RUSVPN shows them. And you’re also protected in times when secure connections drop. When it comes to more advanced protection, you won’t find it here. RUSVPN is among the VPNs that still don’t support IPv6. It can be said that this is still a new protocol, and you’ll get to use IPv4 instead. This isn’t a big issue now but can be a problem in the long-run if you decide to use one of this VPN’s long-term plans. Speaking of advanced features, ad-blocking and split-tunneling can’t be found here. There aren’t any tools for fighting against malware instead. This tells us that RUSVPN is more of a basic VPN, which should be enough for average home users. Luckily, you get to use it with no limitations. There are no limits on how many connections you can make (in terms of how many servers you get to use), or how many times you can switch between different servers. RUSVPN comes with only 30+ servers – and this is one of the smallest VPN server networks we’ve seen yet. Also, it spread across 28 countries. Our Score: 1/10. When choosing a VPN, make sure to check out how many servers you’ll get to use. Ideally, you want to have thousands of servers at your disposal, allows you to easily pick and find the best one. RUSVPN is a rather small VPN service with only 34 servers on board. To put things in perspective, you should know that top-rated VPNs bring between 3,000 and 5,000 servers. In fact, this VPN has one of the smallest server networks we’ve encountered yet. Even though it doesn’t bring many servers, they are spread across the entire world. Users in Europe and North America have the widest range of options. However, we can’t tell you what kind of performance you can expect in the long-run. The good news is that you’ll see the current load of each server, so you can decide whether it’s worth connecting to it. 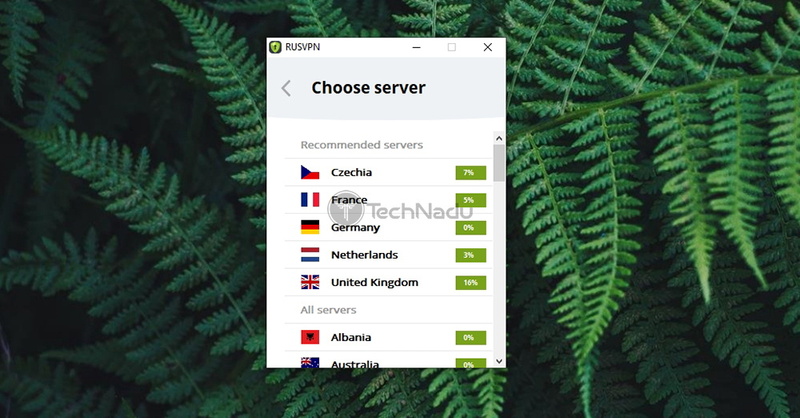 Also, RUSVPN allows you to connect to specific cities – but only for certain countries. There are multiple server locations in France, Germany, Russia, and the United States. It will be interesting to see what happens with RUSVPN’s Russian server, as there’s a situation with banning VPNs in Russia. And finally, you get to switch between servers with no limitations. This means that you can disconnect from one server to connect to another at any moment. RUSVPN comes with a simplistic UI, great for first-timers. However, advanced and more experienced users will be left wanting for more. Our Score: 7/10. Upon launching RUSVPN and logging-in, you’ll see a really simple interface. Almost all of the information you need is present on its home screen, including the status of your connection (protected/unprotected), your IP address, and your recently used VPN server. Of course, this information changes as you start using the application and connecting to various servers. To pick a new server, you need to click on the name of the recently used server. This will open a new panel with a list of different countries. At the top, you’ll see a short list of recommended servers – and this list is based on your actual, physical location. As the list continues, you’ll see all of the available servers, including the name of their home country, location, and its current load. Simply select a server and you’ll return to the home screen. Click on ‘Connect’ to finalize the process. In case you’d like to dive deeper into what this application offers, you need to visit its settings panel. This is done by clicking on the cogwheel icon, in the top-right corner. You’ll find three tabs here, so let’s see what each of those offers. Common: This tab lets you instruct RUSVPN to launch on system startup. You can also auto-connect to the last used server, or you can connect to a recommended location. Finally, the ‘Common’ tab lets you enable the kill-switch, and you can also quickly review your account information. Protocols: Depending on your platform of choice, you’ll see a series of different protocols. On Windows, you get to choose between OpenVPN (UDP/TCP), L2TP, and PPTP. There are handy descriptions for each of those. About: And finally, the ‘About’ tab lets you see which software version you have installed. Strangely enough, you can’t update the software from here. Instead, you’ll need to download the latest version from the official website and re-install the application. We believe that you’ll like what RUSVPN offers – if you want something really simple. In case you’re a more advanced user, you’ll be left wanting for more options and a deeper level of customization. You can use RUSVPN to unblock Netflix and BBC iPlayer outside of their home countries. Users of Hulu and Prime Video should look for a better alternative. Our Score: 6/10. During the last couple of years, VPNs have become the most effective tools for unblocking media streaming websites. However, not every VPN will do the job, so let’s take a look at how RUSVPN scores in this aspect. When it comes to media streaming, many of you will want to know if RUSVPN works with Netflix? Well, you’ll be happy to know that it does! There are 4 server locations in the USA, and only one works with the world’s most popular media streaming service. In addition, you can also unblock BBC iPlayer by connecting to a single UK location on offer. Sadly, Hulu and Amazon Prime users are out of luck. Hulu is known for having rigorous anti-VPN measures, so it’s not surprising to see that RUSVPN can’t unblock this service. And even though you get to open Amazon Prime, unblocking it from abroad brings a half-baked experience. Sometimes it will work, but you’ll experience less than stellar performance. Finally, let’s not forget about torrenting. RUSVPN makes no mention of P2P users on its official website, so we believe that it doesn’t block P2P traffic. However, we warmly recommend you stick to legal torrents only to avoid any legal troubles. RUSVPN uses a high level of encryption along with capable VPN protocols. It doesn’t collect your personal data and it doesn’t leak any information. Our Score: 10/10. In general, top-rated VPNs currently use AES-256 encryption. However, RUSVPN is taking a different approach by sticking to 2048-bit SSL. This kind of encryption certificate is actually an asymmetrical key pair, where we have one key to encryption data (your own certificate) and another key to decrypt data (usually stored on the server). You’ll see many discussions about whether 2048-bit SSL keys are strong enough and whether another type of encryption is better. Still, keep in mind that even if your data is obtained by a third-party, it will take numerous lifetimes to be decrypted. And when it comes to available protocols, you can count on OpenVPN, L2TP, and PPTP – depending on which platform you use. 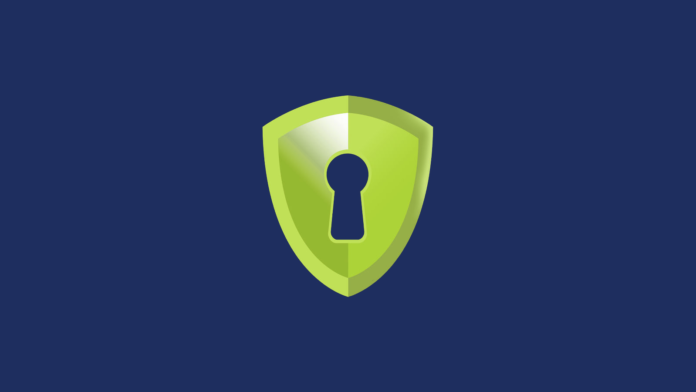 In general, OpenVPN is considered to be the industry standard, with no known vulnerabilities. RUSVPN makes a clear statement on its website that it ‘doesn’t keep any logs of VPN usage’. To help you stay as anonymous as possible, you can use an anonymous payment method when signing up, and you can use a ‘fake’ email address (that you still have access to, nonetheless). In theory, this means that RUSVPN can really make sure that you disappear on the Web, which sounds like an ideal case scenario. As you can see on the image above, no DNS leaks were detected. This means that RUSVPN is capable of preserving your data and hiding your true IP address along with information related to your physical location. We’ve tested numerous servers for DNS leaks, and managed to get stellar results each time. RUSVPN falls somewhere in the middle. There are numerous VPNs bringing slower speeds but there are also plenty of those with faster speeds. Our Score: 5/10. You can expect a certain level of throttling no matter which VPN you pick. To see what kind of performance you can expect out of RUSVPN, we’ve done several speed tests. Take a look. First, we start by testing the speed of our Web connection, to establish some baseline data. Then, we’ll add RUSVPN to this equation. As you can see, we received 147.92 Mbps for downloads and 9.69 Mbps for uploads. Now, let’s launch the VPN and see how it performs. The performance of a nearby RUSVPN server. We’ve first connected to a VPN server in a nearby country, based on RUSVPN’s list of recommended servers. We’re located in Europe, so there are several choices available. Once connected to a Czech server, we received 82.94 Mbps for downloads and 8.86 Mbps for uploads. The performance of a remote RUSVPN server. Finally, we’ve also tested a remote server which, in our case, is found in the USA. As you can see from the screenshot above, we got 80.92 Mbps for downloads and 6.09 Mbps for uploads. To better understand all those numbers, we’ll place into a table and calculate by how much this VPN throttles the speed of our Web connection. On average, RUSVPN slowed us down by 44.5% on average. As said earlier, even the best VPNs will slow you down up to a certain point. And after testing dozens of VPNs so far, we think that RUSVPN falls somewhere in the middle. It’s not the worst out there, but there are plenty offering better speeds. RUSVPN offers several support channels. Its customer support isn’t the most comprehensive, but it gets the job done (after waiting for some time). Our Score: 6/10. At the moment, RUSVPN allows you to call its support team via telephone, send an email, or you can rely on live-chat to resolve your questions. Here’s a brief overview. Live-Chat: The official website of this VPN offers a way for you to chat with customer support agents. We’ve used this option a few times and it was helpful, for the most part. RUSVPN’s customer support agents can be slow to respond and asking 3-4 questions can take up to 30-40 minutes (for the agents to send their responses). Still, this can be a reliable way to resolve any problems. Email / Web Form: RUSVPN’s website provides you with a form that you can fill out. On average, it takes around 24 hours to receive a response. The same applies when sending an email directly to the company’s customer support. Telephone: Finally, you can find two telephone numbers so you can call RUSVPN. 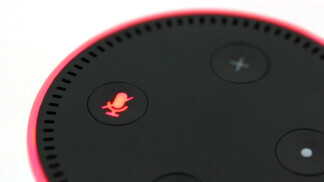 These are long-distance calls, so this option can be helpful only to those in the United Kingdom. RUSVPN brings an attractive price – but only in its long-term plans. Also, it comes with a very limiting refund policy (limited to 500 MB of bandwidth). Our Score: 5/10. Finally, let’s see how much this VPN costs. There are three subscription plans available (where their price and their duration are the only difference), as you can see from the table below. If you decide to pay monthly, you can get RUSVPN for $9.99 per month. However, for that price, we believe that you can find a better deal out there. Still, what’s interesting is this VPN’s long-term plan, which allows you to save up to 50%. We recommend you subscribe to RUSVPN by going for its 12-month plan, which brings the price down to $4.99 per month (or $59.88 per year). Considering everything it brings, we think this is a good deal as paying $4.99 each month is actually more affordable than what the majority of top-rated VPNs offer. Among other information, there are numerous payment methods available. You can pay via credit cards, PayPal, Web Money, Qiwi, Bitcoin, and in many other ways. When it comes to RUSVPN’s refund policy, please note that you’re eligible for a full refund only if you haven’t used more than 500 MB of bandwidth. We have to note that this isn’t the most user-friendly policy out there. The truth is that RUSVPN does have some issues. It comes with a very small server network, it can be overly simple to advanced users, there are quirks with its UI, and more. However, in its essence, this is a reliable and capable VPN service that can truly protect your online data. 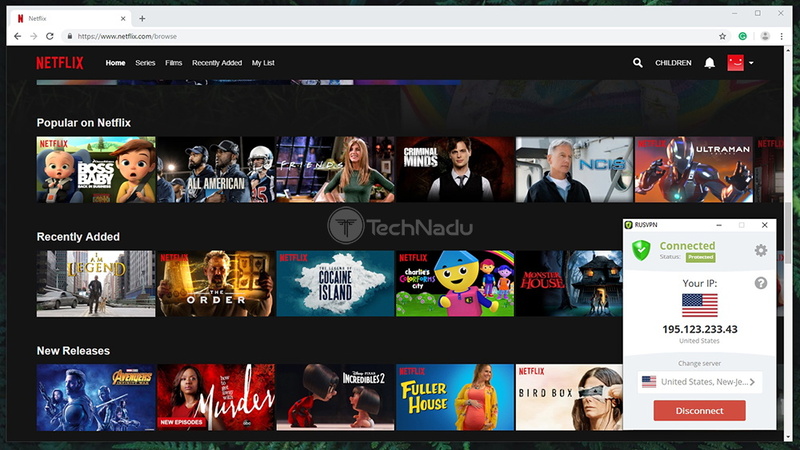 PROS: Broad platform coverage; Easy installation; Straightforward UI; Unblocks American Netflix; Strong encryption; Capable and varied VPN protocols. CONS: Incredibly small server network; Missing advanced features; Mediocre performance; Half-baked customer support. OUR SCORE: 5.7 out of 10! 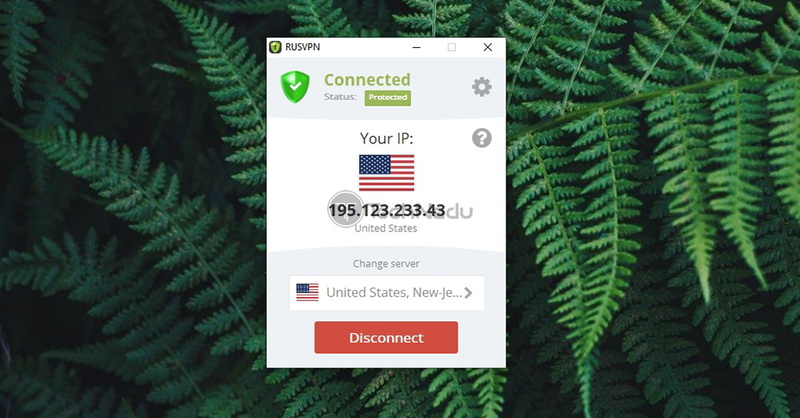 If you think this VPN could be a good fit for your needs, make sure to check out RUSVPN for yourself. 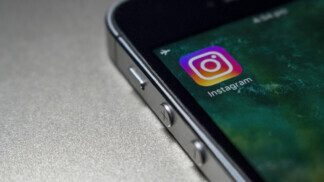 You can find more information on its official website, which can help you make up your mind whether you’d like to invest in its subscription or perhaps search for alternatives. In case you liked this review, we’d like to ask you to share it on the Web. And to stay on top of the latest VPN-related coverage, don’t forget to follow us on Facebook and Twitter. Thank you! RUSVPN seems like a highly capable and user-friendly VPN – until you start to go beneath the surface. It comes with many limitations that are characteristic for newly released VPNs, and we can only hope to see these resolved and ironed out in the future.